If you are anything like me, shopping for the women in my life brings the most anxiety. From deciding what to get someone who has everything to braving a shopping mall---a man's worst nightmare! As promised in my last post, here is a list of items you can get and score big. The best part is you don't even have to step foot into a mall. These Christmas gift ideas aren't just for your significant other but several of these are perfect choices for a mother or grandmother too. Now a word to the wise, don't get them all the same thing. If you get the wife gift #1, then get mama option 3 or 4. Feel me?! I'm hooking you up with a link to a website so that you can purchase the item in the comfort of your home. Do your research now to get those Black Friday and Cyber Monday deals. 1. 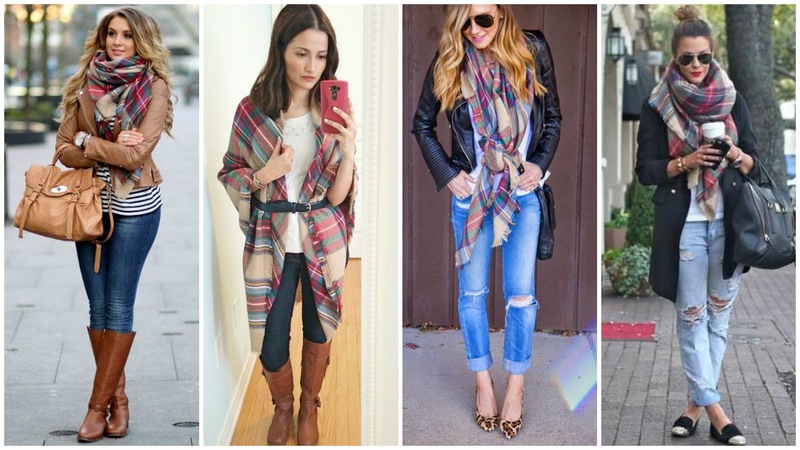 Blanket Scarf --This scarf is so versatile and can be worn with almost anything. 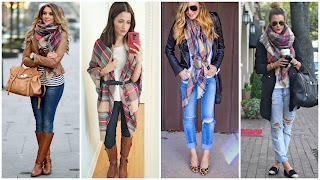 It comes in various colors, you really can't go wrong with picking any style. It's one size fits all. 2. Faux Fur Vest--All things fur (per my wife) is a win for a lady this Christmas season. If you are unsure about a full fur vest or if she already has one, go with this lovely faux suede and fur vest. According to my wife, this style is apparently trending for this season. 3. 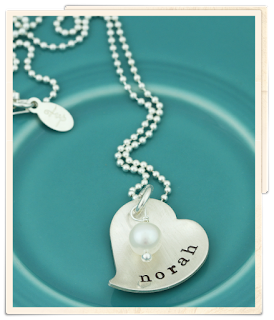 Custom Love Necklace --Anything custom with your children's name on it will be a hit with the lady in your life. This necklace comes with an authentic pearl and is hand stamped with names of your choice. You can add additional hearts for each child. This is available in gold as well. 4. Bissell PowerFresh 1940 Floor Steamer -- This steamer is for ceramic, tile, and wood floors. The Bissell Steam mop cleans and sanitizes floors in as little as 15 seconds. If you have crawlers and little ones that eat stuff off the floor, this will be a priceless addition to your cleaning routine. The removable pad is washable too. 5. Massage---I'm not sure of what woman wouldn't love to be pampered and treated like a queen. Let's face it most of the ladies in our lives are always taking care of someone else's needs and generally neglecting their own. They are overworked, stressed, and tired yet they keep going. Give them a gift of love this Christmas with a stress free massage or day at the SPA. This will express to them that their health and peace are important to us. They even have couples massages that you can do together. Perfect for an anniversary gift or Valentine's Day surprise.